Is Your Child Safe In Her Car Seat? This is a question that haunts me, day in and day out. How many times am I rushing out the door in the morning, chiding my kids to move more quickly, throwing open the car doors and mindlessly buckling in my kids before heading out for my day? How closely am I checking the car seats in which I am buckling my kids? I am entrusting the lives of my children to these contraptions several times per day. I am trusting they will do their job in keeping my progeny safe. But am I doing my job? Motor vehicle crashes are a leading cause of death for children age 1 to 13 in the USA. As parents, we can never be too safe. Next week is Child Passenger Safety Week, and it is the perfect time to check (double check and triple check) you care seat safety. The Ad Council and Department of Transportation have put together some fantastic resources to guide us in checking our car seats as well as our installation. First and foremost: is your child in the right car seat? We are always comment on the fact that our kids grow so quickly. 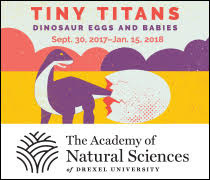 Have you considered that they just may have grown right out of their car seats? 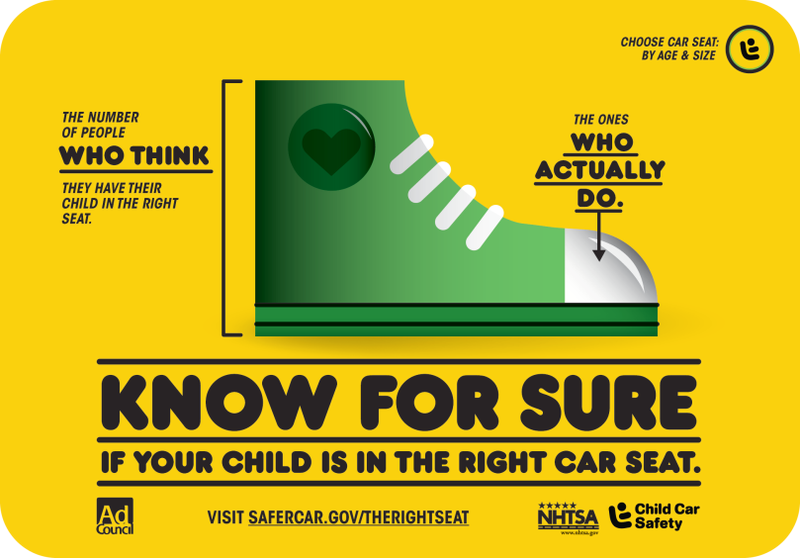 Head to SaferCar.gov/TheRightSeat to make sure your child is in the correct car seat for his or her height and weight. Next: is your car seat installed correctly? If you are like me, car seats sometimes get transferred between cars if someone else is watching them. Every time those seats are installed, we need to make sure they are the perfect fit or else they become a hazard instead of a help. The Right Fit page has all the tips and resources you need to make sure your car seat is properly installed for "the right fit." Lastly, there will be more than 600 Car Seat Check events in 45 states across the country during Child Passenger Safety Week. At these checks, there will be certified child passenger safety technicians that can inspect car seats and show parents and caregivers how to correctly install and use them. In most cases, this service is free of charge. Locate a car seat check event here: http://www.safercar.gov/cpsApp/cps/index.htm. Give yourself a peace of mind and an extra dose of safety - and get those car seats checked and secured! For more information: SaferCar.gov/. Please be sure to pass this information along to other parents! Disclaimer: this post had been made possible with information from The Ad Council and The Department of Transportation. I was in no way compensated for this post.